One of my favorite things to wear in warm weather is white pants. They are not only classic, but also versatile. 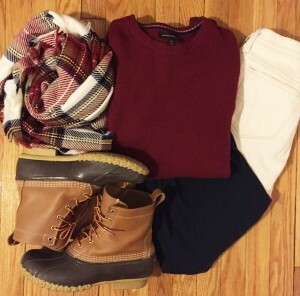 I love pairing them with fun, bright colors, however, in the winter, I often switch to my J.Crew ecru jeans. 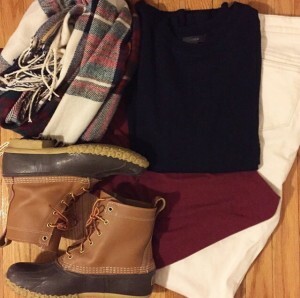 They are naturally an off-white color, which makes them perfect for more traditional, winter styling. I usually wear them with L.L. 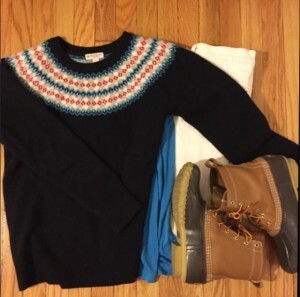 Bean boots, a heavy sweater, and a long tank top. When tops don’t come in a tall size, I often need a complementary tank top to make my outfit complete. The three looks above are my favorite this year.